Sky will be showcasing the first two days of the British Masters Golf Tournament from Woburn Golf Club live on Sky 1. The move will enable viewers without a current Sky Sports subscription to watch live coverage on Thursday 8th and Friday 9th October 2015, between 9am and 5:30pm. Full coverage of all four days of the European Tour event will be available on Sky Sports 4. In 2016, Sky will take over from the BBC in broadcasting live coverage of The Open Golf championship, although highlights will remain free-to-air on the BBC. 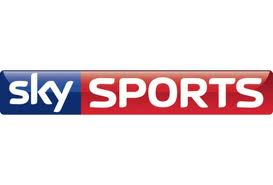 The move to offer live coverage of the British Masters on Sky 1 will serve as an advance opportunity to introduce more viewers to Sky's coverage of the sport, including those with streaming service Now TV who haven't tried any of the available Sky Sports passes yet.